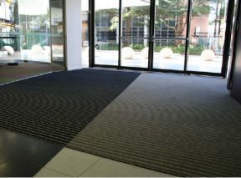 Just Mats specialises in supplying quality mats across Australia. Just Mats has a variety of mats available for different purposes. JustMats is a leading edge manufacturer, distributor & designer of access, mobility and safety products. JustMats is committed to ensuring prompt delivery of engineered solutions for government, architects, builders and contractors throughout Australia. Whether preventing slips and falls 24/7, assisting the visually impaired, or protecting expensive surfaces – JustMats has a solution for your ingress & egress problems. Mats available include Absorba mats, Tough Scrape mats and the GECA certified RolaDek aluminium matting system. RolaDek, mats are available with a variety of insert treads to suit your specific application. 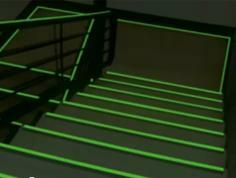 Photoluminescent products incorporating ecoglo stair nosings, ecoglo handrail strips & pathway markers, ecoglo signage, ecoglo aisle and seat markers will revolutionise your project, providing a simple, sustainable, fail safe and energy efficient solution that will place you at technology’s forefront. All JustMats products are designed to meet the Australian/New Zealand standards and building codes.